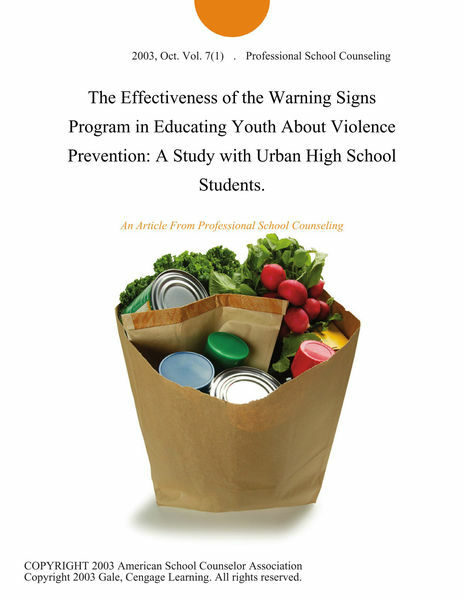 Download PDF The Effectiveness of the Warning Signs Program in Educating Youth About Violence Prevention: A Study with Urban High School Students. The Effectiveness of the Warning Signs Program in Educating Youth About Violence Prevention: A Study with Urban High School Students. Author by : Rosemary A. Thompson, Ed.D.